SEMA Hall of Fame - John Towle, 2011, Performance Warehouse Association. “If you have an idea and a plan, share it. Who knows, maybe you will start something cool.” That’s been the motto of John Towle, whose stellar career in the performance aftermarket has spanned five decades. Towle worked in several departments at Edelbrock (a charter member of SEMA), learning all aspects of the performance business, from manufacturing to sales to distribution. Hard work and dedication paid off as Towle became the company’s vice president of sales in 1982. 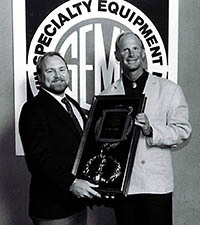 Under Towle’s leadership, Edelbrock’s annual sales grew and the company captured three Performance Warehouse Association (PWA) Manufacturer of the Year awards (1984, ’89 and ’90). In the mid-’70s, Towle campaigned a B/Econorail dragster. After much success at the local strips, legendary Lions and Orange County International Raceway (OCIR), John felt Econorails deserved their own NHRA class. He had a plan and decided to share it. Towle sat on the lawn at OCIR and wrote down some simple rules for A & B Econorails and sent them to NHRA. He also suggested blown alcohol cars should have their own class. NHRA agreed, and this is where the Pro Comp class started, and the Econorails became Competition Eliminator cars. 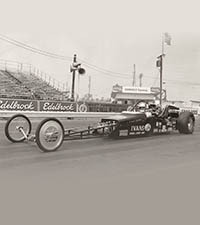 Towle had many successful years of drag racing, but it was his dedicated work at Edelbrock, SEMA and the PWA which helped the performance industry. He was elected to the SEMA Board of Directors in 1993 and served a two-year term. 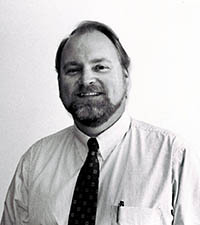 Towle retired from Edelbrock in 1991 and in 1992 became the PWA’s executive director. Under his guidance, the PWA has continued to grow, especially its annual Industry Conference.